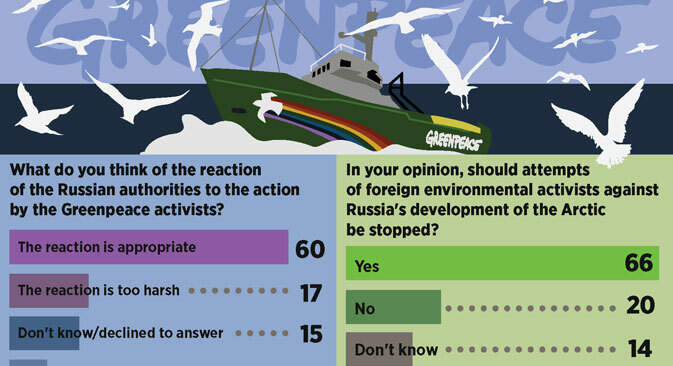 About 60 percent of Russians believe that the reaction of Russian authorities to the action of Greenpeace activists was appropriate, a public poll suggets. Only 17 percent of Russians think that the reaction was too harsh and only 8 percent said it was to light. The poll was conducted by VTsIOM center among 1600 people from 42 Russian regions in the end of September.